A New Dawn for DSP? Digital signal processing has already brought untold flexibility to a wealth of install applications. But with full-scale networking likely to become the default, could it be that an even more exciting era is just around the corner? Alongside the advent of more powerful networking solutions, the emergence of digital signal processing (DSP) that is capable of being implemented quickly and (relatively) easily for all manner of fixed install applications has arguably been the defining pro-audio story of the decade. From Acoustic Echo Cancellation (AEC) for video-conferencing to site-wide routing and distribution, high-capability DSPs have heralded a minor revolution in the built environment. In an industry that has always paid extremely close attention to the bottom line, it’s unsurprising to discover that lower-cost solutions have done much to initiate the New DSP Dawn. Not only are DSP chips “running at considerably higher MIPS (millions of instructions per second) rates than they were ten years ago, today’s faster chips enable designs that use fewer components – meaning lower costs and increased reliability,” observes Dane Butcher, founder and CEO of Seattle, US-based DSP pioneer Symetrix. Highly effective automixing, loudspeaker management and zone mixing/paging are among the other common applications of these new-generation DSPs. But although their superiority to conventional processing solutions is now unquestioned, the sheer quantity of current DSPs can easily leave the integrator – let alone the end-user – with something of a quandary. So what are the factors that need to be borne in mind when selecting a DSP that is truly capable of delivering the processing power you need? 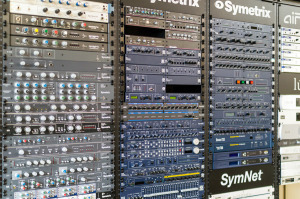 At the most basic, pro-audio customers are faced with one fundamental decision when it comes to DSP – namely, between a fixed and open architecture solution. As their name should imply, open architecture solutions afford the greatest possible scope for custom configurations to complement a specific application. Powerful they may be, but they can also be more costly to implement than their fixed brethren due to the fact that they essentially offer a blank canvas. “The integrator has to provide all the infrastructure inside the processors to fit the intent of the system,” confirms Windle. Accordingly, lower cost fixed architecture solutions still tend to be more popular for the less demanding applications. With these DSPs, “the price is certainly more attractive, and they are really quick and easy to set-up and operate,” says Windle. Input/output configuration and the layout of the software are more limited than with open architecture DSPs, but some manufacturers are able to deliver significant customisation. 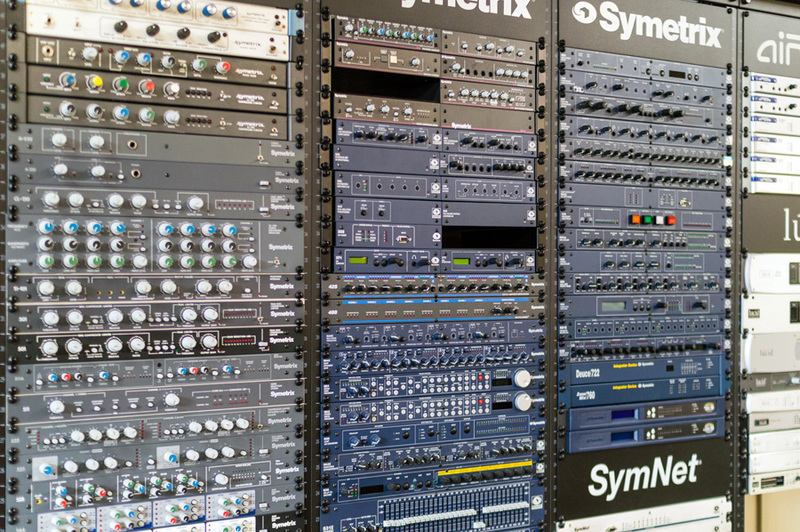 Symetrix is among them: not only does its Jupiter solution possess a large library of preconfigured layouts to choose from, it can also be deployed with layouts created especially to match user requirements. Other concerns are more universal, but no less important for that. Among other factors, Richardson highlights audio fidelity and form factor. Then, what we might label the post-installation life of the DSP is to be borne in mind. Getting end-users to feel comfortable with the system in the first place is one thing, but when you have queries or concerns, how easy is to get a knowledgeable person on the end of a phone? In the old point-to-point days, that list alone would have been more than enough with which to contend. But now, as full audio networking brings its flexibility to bear in every sphere of the live and fixed install world, the ability to connect quickly and easily to other digital devices is assuming ever-greater significance. This is easier said than done because a variety of solutions are continuing to compete for integrators’ attention. Audio-over-standard-Ethernet technology CobraNet retains its advocates, but latency and hardware costs can be problematic. Looking ahead, the Audio Video Bridging (AVB) project championed by the AVnu Alliance is set to provide a comprehensive, standards-backed approach to audio/video streaming. AVB has racked up some successful, high-profile demonstrations, but a shortfall in end-user understanding is arguably inhibiting the technology’s adoption. 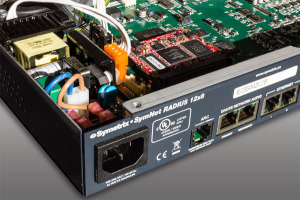 It’s perhaps no wonder, then, that proven low latency Audio over Ethernet media networking technology Dante, developed by Sydney-based Audinate, is proving an increasingly popular solution during this uncertain period. Dante ensures a high level of interoperability with third-party devices by an OEM partner list that now totals 105 companies. “There are about 175 products from OEMs available and at least 200 more in the development pipeline. Audinate shipped over 3.5 million Dante channels last year, so it is a proven technology that works on a converged IT network,” says Ervin Grinberg, director of marketing, Audinate. The fact that customer demand for sophisticated DSP will continue to grow is beyond question; but so too is an increasing pressure on margins. Manufacturers will therefore need to ensure that they deliver products to market at a reasonable price-point if they are to remain competitive – and that calls for a production cycle that is streamlined and efficient. While the benefits of high-spec DSP in the networked world are now firmly established, the best methods for helping customers to implement their solutions successfully remain a matter of debate. It is this territory, then, that is likely to be the real battleground for manufacturers as DSP enters its next phase of evolution.